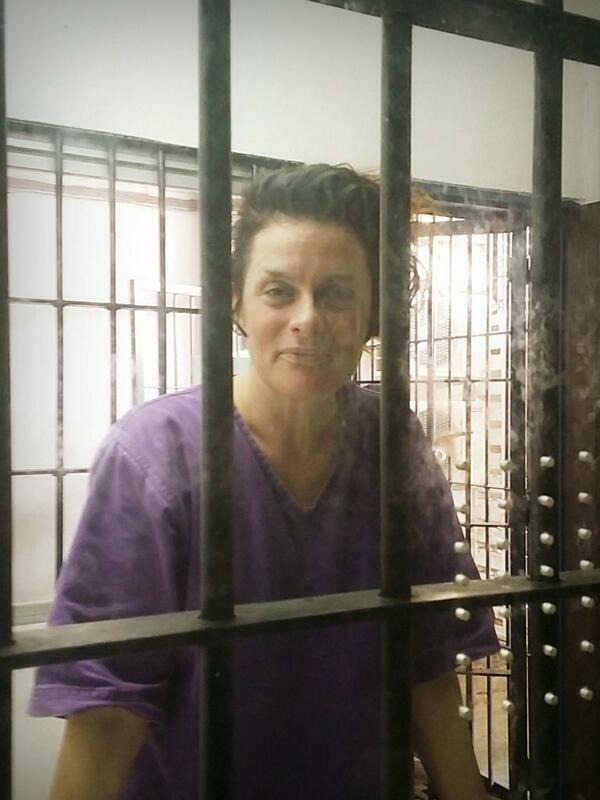 Last Sunday in the city of Kuantan, on Malaysia’s east coast, a New Zealand-born Sydney-based activist, Natalie Lowrey, was arrested with a group of 15 locals. They had been protesting against a rare earth processing facility owned by an Australian company, Lynas Corporation. The activists accuse the company of producing toxic and radioactive waste at the plant, and having no discernible plan for its safe disposal. According to lawyers acting for Lowrey, the charges against her remain unclear. Lowrey told The Saturday Paper the protest started out as “your usual peaceful Sunday, community, family event” before things turned nasty. Up to a thousand protesters started out at the Himpunan Hijau (HH), or Green Assembly, a temporary base camp seven kilometres from the Lynas refinery. She says there was a high police presence at the protest, including local, district and riot police. “The plan was to camp out for a week at the site, as the community and broader peninsula Malaysia wanted to send a strong message to the company to shut down. People were setting up tarp structures on the side of the road as shelter. Lowrey made the decision to remain sitting in protest despite being told by police to move on. She was arrested with nine other people, all sitting in peaceful protest. Lowrey says she “felt it in my heart to sit down with them too”. Since being arrested, Lowrey has been detained in a concrete cell with 15 other female prisoners. Dressed in purple prison suits, they are allowed nothing inside. They either sleep on the floor or on a concrete bench beneath fluorescent lights under 24-hour camera surveillance. Lowrey says she only keeps track of time by the arrival of her meals. Rare earth elements is a term used for 17 metals vital for the production of high-tech industrial equipment such as smartphones, wind turbines and hybrid car batteries. China has long held a near monopoly on the production of rare earths, but the Australian company Lynas is hoping to break that stranglehold with its Malaysian plant. The ore Lynas uses to source its rare earth elements comes from Mount Weld in Western Australia, a site that contains some of the largest and highest-grade deposits known. Mount Weld also contains thorium and uranium, a radioactive contaminant. When you strip out the rare earth elements from the ore through a refining process, thorium and other toxic residuals remain. Since November 2012, the first shipments of these elements were sent from West Australia to the Lynas Advanced Materials Plant (LAMP) in Kuantan, in the state of Pahang, for refining. It is fair to say that the Lynas plant has attracted controversy from the start. It has been suggested that its location in Malaysia is largely a result of the ability to run the plant at lower cost and with less stringent scrutiny and requirements than would be possible in Australia, and as far back as 2008 Kuantan local MP Fuziah Salleh raised concerns. The spokesman conceded that the company “could have initially done a better job at communicating to the local community”. “In the past two years, Lynas has actively engaged with the local community, including hosting more than 2500 visitors via some 60 site tours,” he said. A number of Malaysian non-government organisations and community groups, such as Concerned Citizens of Kuantan and Save Malaysia Stop Lynas, have conducted protests of up to 10,000 people against the plant – although the Malaysian Court of Appeal and Atomic Energy Licensing Board have come down in favour of Lynas. Lee Tan, a campaigner and technical adviser for several NGOs in the Asia-Pacific who has just returned from Malaysia, says the protests are considered historic. “This has been touted as the largest ever environmental campaign in Malaysia in terms of getting a lot of people out into the streets,” she says, “and it is well resourced locally. It’s been going for about three years and people are genuinely concerned and angry that such a raw deal has been struck between the Malaysian government and Lynas at the expense of the environment and the people. A 12-year tax break was granted in exchange for pollution and radioactive waste. Peter Karamoskos, the public representative on the Radiation Health Committee of the Australian Radiation Protection and Nuclear Safety Agency, spoke to The Saturday Paper in a private capacity. He has recently submitted expert affidavits to Malaysian courts demonstrating that Lynas fails to live up to international best practice for radioactive waste disposal. The former employee says there is a culture of bullying at Lynas, and that when he tried to make his concerns known he was made redundant. “So you know who won the argument,” he says. In December last year a 33-year-old engineer, Mohamad Fadzli Mohamad Rafdzi, died at the rare earth facility when he fell into a tailings pond – it was the third death at the plant in two years. The source says he is surprised more haven’t lost their lives at the site. Lowrey now waits in indefinite detention*, not having been told when she will be charged or whether she might expect to appear in a Malaysian court for her actions. The Lynas plant continues its operations.